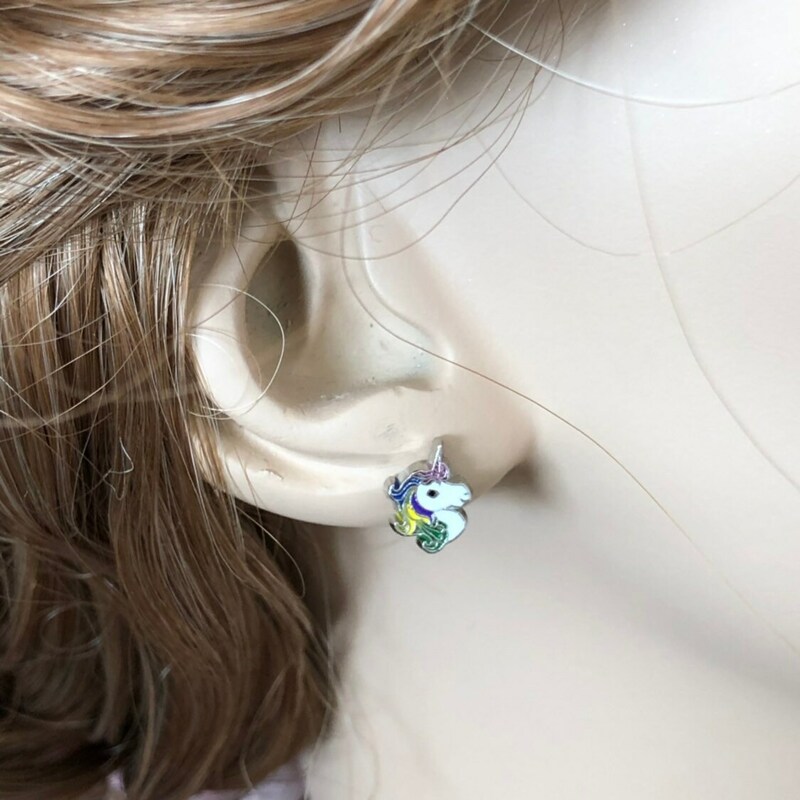 When I found these little enamaled metal unicorns with their glorious rainbow manes, I just knew I had to turn them into earrings for the shop. 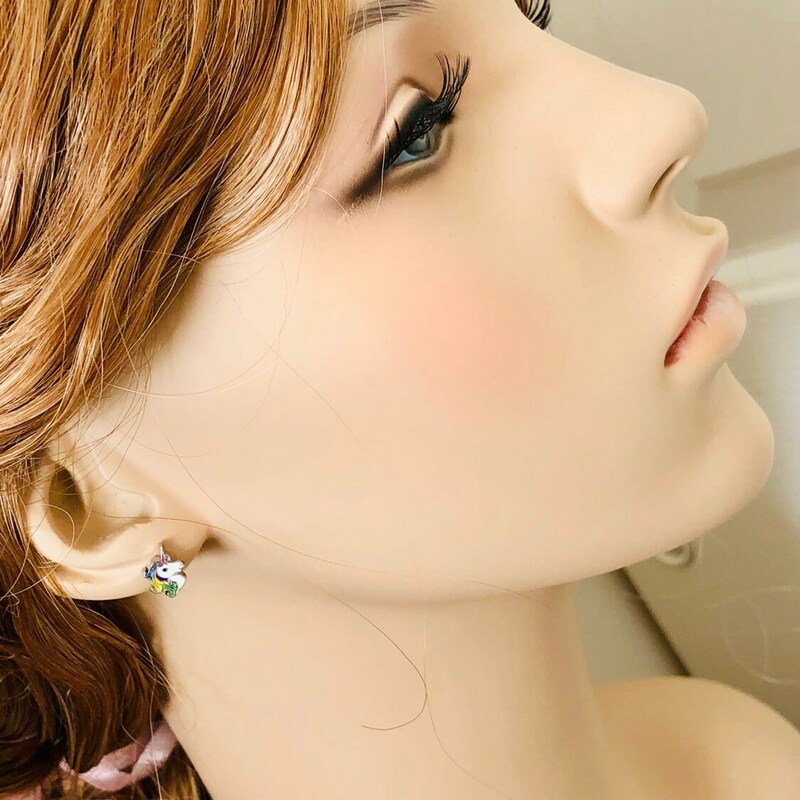 The metal is a zinc alloy that is lead & nickel free, and the posts I use are surgical steel. 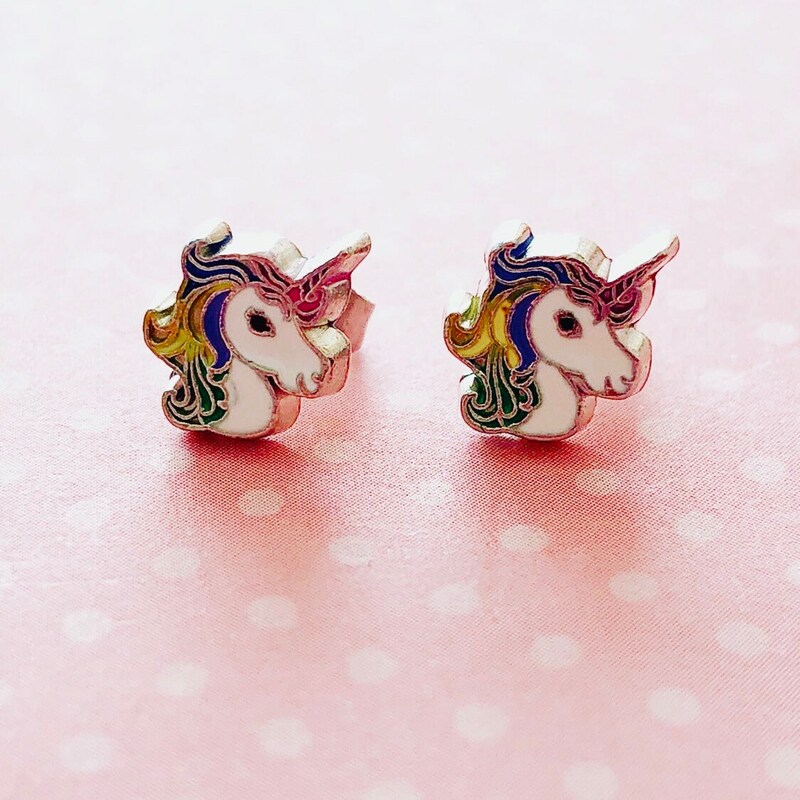 These little beauties measure about 3/8 inches from the tip of the horn to the bottom & just over 1/2 inches wide. 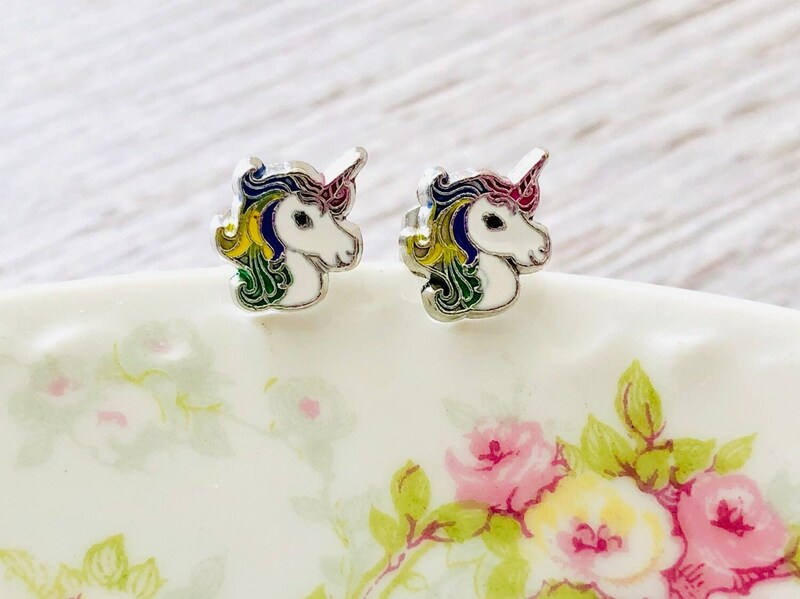 All stud earrings are MADE TO ORDER so please allow up to 72 hours for me to make your earrings prior to shipping. 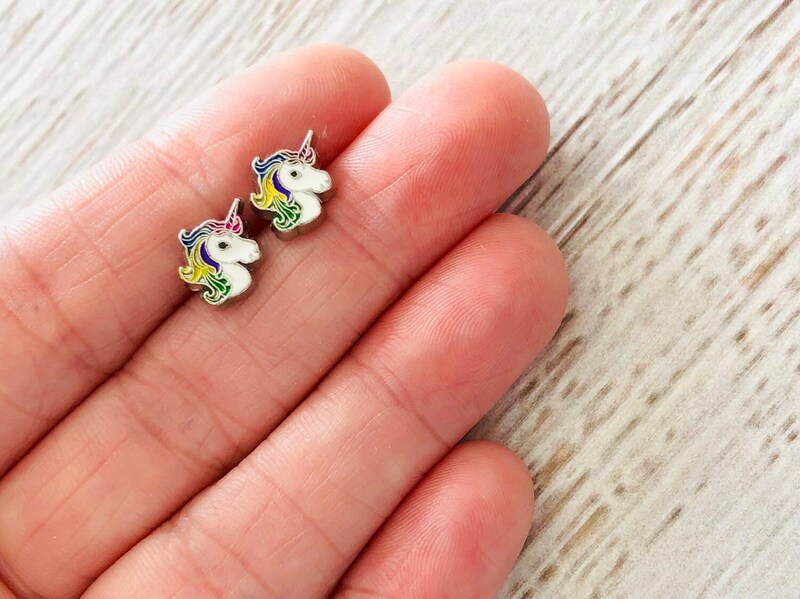 Please note: Due to the nature of how these are made, no two unicorns are exactly identical but they are very close so it will not be noticeable unless you are looking for variations.